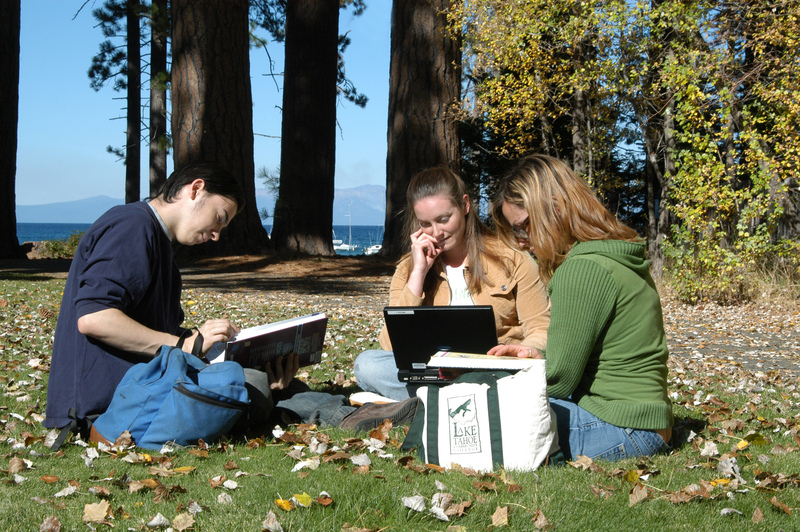 Orientation is your chance to get to know Lake Tahoe Community College and register early! Orientations are key for new students at LTCC. You can sign up for a face-to-face orientation, or, take the online version to expedite your registration. To take the online orientation, click here to Launch This Orientation. Orientations take approximately 3 hours and provide new students with in-depth information on the resources provided at LTCC, steps to prepare for transfer, student life, financial aid, and much more. Following your new student orientation, ensure you obtain a copy of your high school transcripts and make an appointment with a counselor by contacting them at counselor@ltcc.edu or calling them at 530-541-4660 ext. 231. In face-to-face orientations, students will be provided with a tour of the campus led by one of the college's many Student Ambassadors. The tour covers all major areas of the campus and gives students a chance to ask questions. The final step in the Orientation process is to take students into a computer lab for a demonstration on how to use Passport, LTCC's student portal. *All new students are required to attend orientation unless they are taking courses for personal enrichment, upgrading or enhancing job skills, maintaining a certificate or license, completing credits for high school, or have already received an Associate degree or higher. Prefer an On-Campus Orientation Experience?